Timer controls The most distinguishable feature of this machine is its height. 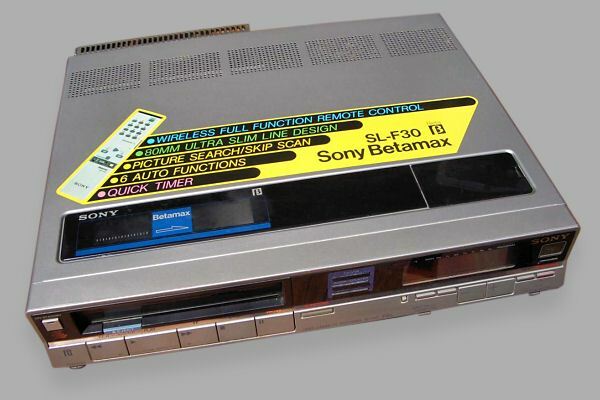 At only 8 cm it's one of the slimmest Betamax machines. 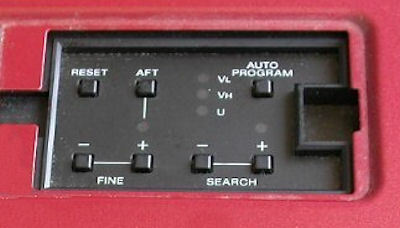 In order to get this height, the individual channel selection buttons have been sacrificed in favour of up and down buttons. 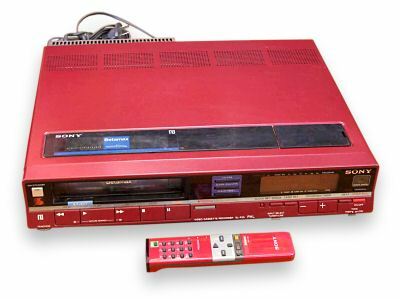 Another nice feature is the transparent hole in the lid to allow viewing of the video cassette. 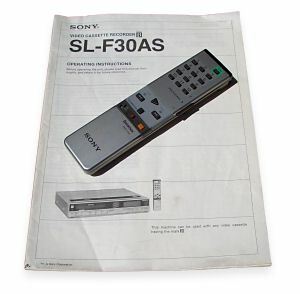 The SL-F30 also came in other colours such as the red version seen here. Many thanks to Stuart Bellfield, Sebastian Balzer and Noel Higgins for providing the images.